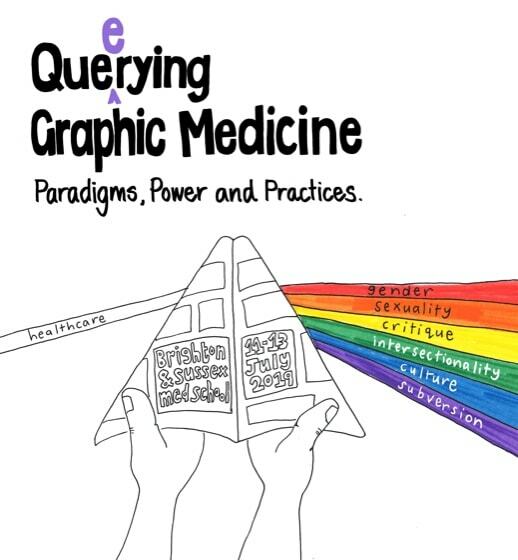 Conference registration for the 2019 International Graphic Medicine Conference in Brighton is now open. We had a phenomenal response to our call for papers with over 150 proposals from 22 countries. There are 100 earlybird places available at £100, after which the price goes up to £125. There is a student registration option at £60. Go to the conference web page HERE. Hello! Is the conference three full days? The hotel booking form is suggesting a four night stay. No it will be Thursday evening from around 5pm, all day Friday and Saturday. I got the hotels to offer the Wednesday night at a reduced rate, too, for people coming from abroad. but it is only optional.